Total world consumption of biopolymers is projected to reach the size of 300 million tonnes in 2016, and to be valued at US$670 million, according to the latest exclusive market research from Smithers Rapra. 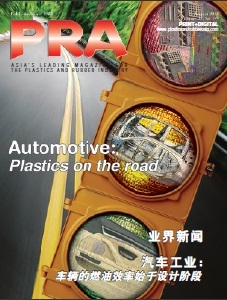 Its new report – The Future of Global Bioplastics to 2021 [http://www.smithersrapra.com/market-reports/plastics/the-future-of-global-bioplastics] – forecasts that demand for bioplastics will grow at an rate of around 19% year-on-year in volume terms across the period 2016-2021. This increase accompanied by the potential development of the global production facilities will lead to the industry’s capacity growth, especially in Asia. Europe is a major hub for the entire industry; it occupies the top rank in the field of research and development and is the industry’s largest regional market. Report author and Smithers senior analyst Vlad Savinov says: “While the potential market for bioplastics is huge, consumption rates will depend on whether producers can grow their production capabilities fast enough and at acceptable cost/performance levels to meet demand. Non-durable and semi-durable applications of biopolymers occupy over 75% of the market. These applications are usually designed for one-time-use and usually they end up in a landfill. Biodegradable products degrade from naturally occurring microorganisms over a period of time. It is an important way to remove waste from the environment, breaking down organic matter into nutrients that can be used by other organisms. For this reason, biodegradability is considered to be the important application driver – a property that is well met by some biopolymers, especially PLA, PHA, PBS and a few other aliphatic polyesters and starch compounds. 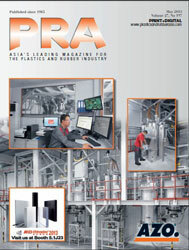 The successful development of the bioplastic industry depends on other drivers as well. One of them is legislation that will enable or impede producers in manufacturing biopolymers and converting them into useful consumer end-use items. In 2015-16 the market saw a crude oil price at its lowest since the year 2000. On one hand, this makes biopolymers less competitive against petropolymer equivalents; on the other hand, the unpredictability of oil prices encourage market players to look for alternatives, made of raw materials that have a price that is easier to forecast. As a result, the global market saw growth in both petropolymer and biopolymer consumption. Despite the fact that the global polymer industry is forecast to growth in volume and value terms over the next five years, not all polymer business are as attractive as they once were. The industry is affected by environmental issues that will grow in importance. New environmental regulation add additional costs to the industry, while changing consumer views on sustainability open up new markets for biopolymer and recycled polymer markets. The report The Future of Global Bioplastics to 2021 [http://www.smithersrapra.com/market-reports/plastics/the-future-of-global-bioplastics] examines global trends for bioplastics for the period 2016-2021. Market analysis is split by biopolymer type, end-use sector and geographical region. In addition, the report includes an analysis of major market participants, market drivers and trends and framework and legislation.